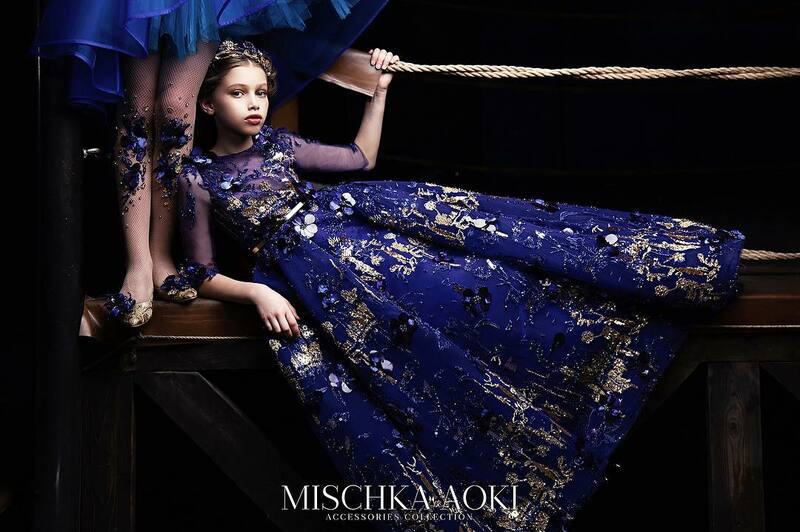 Must have of the Day: The fairytale gown from the last collection of Mischka Aoki is looking truly magical! Swooning Cinderella fans will find this ice blue tulle dress from the last collection of Mischka Aoki is the most breathtaking gown ever! 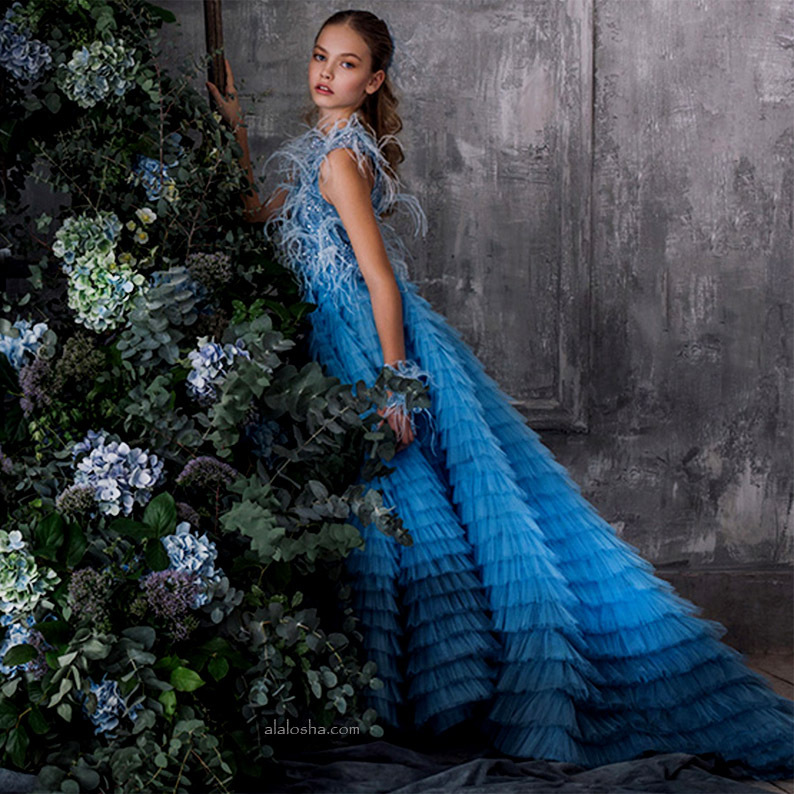 Incredible, ice blue tulle dress, featuring a hand-crafted bodice encrusted with pearl beads, crystals and sequins, as well as delicate sprays of ostrich feathers. The amazing skirt is made up of many narrow layers of tulle, which are slightly darker around the hemline and flare out dramatically into a beautiful train at the back. 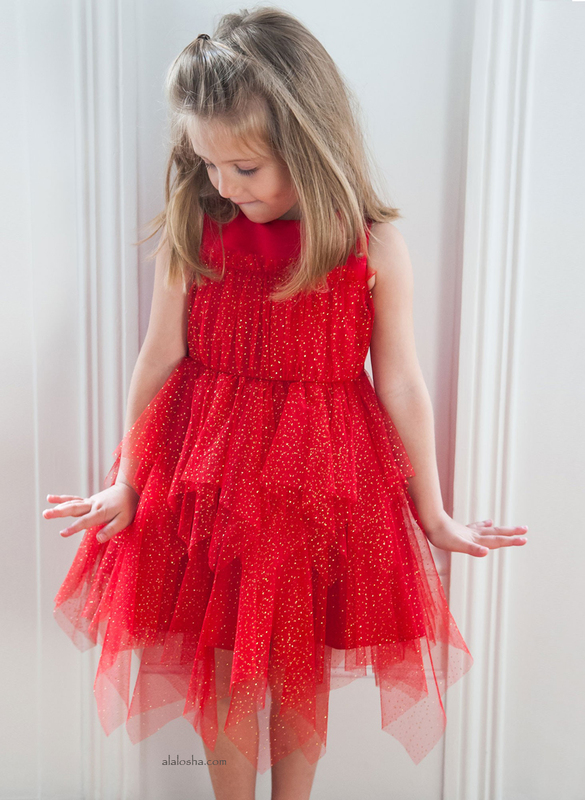 Fully lined in delicate organza, the dress has a concealed zip fastener at the back and has been designed by Mischka Aoki to make every little girl feel like a princess in her own fairytale.